There are many quality low-cost online school psychology programs that incorporate coursework, practicum experience, internships, and professional development opportunities into their curriculum to help students prepare to work with children in school. 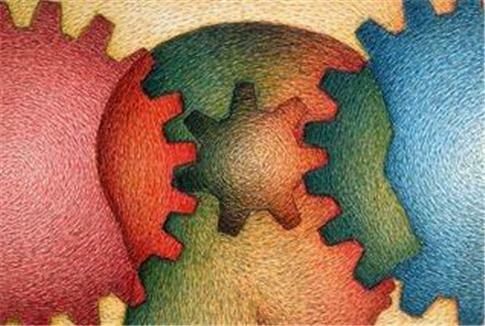 School Psychology is a specialty area rooted in psychology and education. School psychologists conduct assessments and interventions. They create, implement, and evaluate preventive programs. Found in the community as well as in school systems, they are trained to work with children and youth, within the scope of schools and families. School psychology programs online are efficient and flexible. They’re designed to meet the needs of professionals already working in the field or those with scheduling challenges. Several master’s degree options are available, including a master’s educational psychology online and an online master’s in school psychology. Program requirements differ depending on desired licensure and type of position the student wants after graduation. After researching online school psychology programs we developed this list of the most affordable based on the net price given by College Navigator. Schools selected for our list are accredited institutions offering master’s level degrees with the majority of the curriculum available online. Schools are listed in order of cost with the #1 school being the cheapest of the online school psychology programs. Eastern Michigan University offers an affordable online master’s in Educational Psychology. The program has two different concentration options: the Developing Learner and Research and Assessment. The Developing Learner concentration can be completed entirely online. The Research and Assessment concentration is a blend of online and in-person classes. Students learn to understand educational psychology concepts and effectively apply them in an educational environment. Graduates have gone on to work in research organizations or educational settings. Many go on to earn their Ph.D. level and teach at colleges and universities. Eastern Washington University offers an online Educational Specialist in school psychology degree. It provides a School Psychology certificate and an Educational Specialist degree in school psychology. Students who have earned their bachelor’s degree can complete the program in three years while those with a master’s can finish in just two. The program operates as a cohort model. Students complete asynchronous program components through discussion boards and assignments. They are required to complete a 1,200 hour full-time internship experience. Students need to be on campus each fall they are enrolled to complete a four-day long weekend session to meet each other, complete certification trainings, and engage in live classes. The NCATE accredited, affordable online educational psychology master’s program at the University of Alabama is 30 credit hours. It’s focused on Learning and Assessment. Students from a variety of backgrounds are eligible to apply and graduates have included business managers, youth ministers, government leaders, and social science professions. Professors are the same faculty who teach the rigorous on-campus program. One of the program’s biggest strengths is the diverse student population and the mix of experienced professionals. The affordable online educational psychology master’s program at the University of Northern Colorado features an emphasis in Teaching Applications.The 30 credit hour program can be completed online in about 19 months, or five terms. The online program starts each summer term and is designed for teachers who want to help students become better, more confident thinkers. There is no thesis requirement, but students must pass a comprehensive examination to demonstrate their knowledge and skills. Graduates have gone on to work as educational consultants, business and industry trainers, measurement and assessment professionals, and teachers in the K-12 or community college environment. The University of Memphis offers a master’s in educational psychology online for students who need an advanced degree but are unable to attend a traditional program. Students come from a variety of backgrounds including school psychology, social work, healthcare, and the military. Applications are reviewed April and November, allowing students multiple start dates each year. This online school psychology program is ideal for educational leaders looking to develop an in-depth understanding of areas of psychology such as human development, research and statistics, and learning and cognition. The affordable online school psychology Educational Specialist program at Edinboro University is a three year, NASP approved program leading to recognition as a Nationally Certified School Psychologist. Students complete online courses during the week and one Saturday face-to-face meeting each month. A field and school experience are required during the first and second year of the program, with a full-time internship experience completed during the third year. This top affordable school psychology program includes a structured curriculum and small class sizes, ensuring individualized attention. This affordable school psychology master’s program at the University of Georgia offers an M.Ed. in Educational Psychology, Applied Cognition and Development. It’s offered through the College of Education. The program follows a cohort format of 10 students who move through the 34 credit hour program together as a unit. development of high intellectual capability. The University of Georgia is ranked sixth in the country by U.S. News and World Report for its online graduate education programs. Faculty are nationally recognized and offer individualized attention to students taking courses online. The online affordable master’s in educational psychology at Texas A&M University features both synchronous and asynchronous courses with no residency requirements. It’s 36-credit hours. Full-time students can earn their degree in just two years of study. While there is no thesis required as part of the program, students do complete a practicum experience during the second year of study. Graduates are prepared for certification as school counselors in the state of Texas when they complete the coursework, practicum, and field placement. Fort Hays State University offers both an Education Specialist degree in School Psychology and an online Master’s in Psychology (school emphasis) for students unable to attend a traditional on-campus program. The program can be completed in four semesters of full-time study. Students complete a 500 practicum experience in their home school district during the second year of the program. This affordable online master’s in school psychology can be completed with 66 credit hours of coursework. Students complete their master’s in 30 credit hours and their Education Specialist degree in 36 credit hours. To meet licensure requirements in Kansas, students must complete a supervised internship of 1,200 clock hours. If you liked our ranking of the most affordable online school psychology programs, you may also be interested in our ranking of the Top 50 Online Psychology Master’s Degree Programs 2016. What is Cross Cultural Counseling?